Activist investor pressure: Elliott management was involved in the following CEO transitions: Athenahealth for CEO change - the Company was sold to Veritas Capital and Elliott Management for $5.7b; Commvault, after disappointing results; Telecom Italia named Elliott representative as new CEO as last CEO had to step down over future strategy. Videotron CEO Manon Brouillette to transition out after more than 14 years of service. Deluxe Corporation CEO scheduled to transition in the Spring of 2019 named a new CEO in November, EFI long term CEO retirement. Upco purchased the assets of Spectrum Intelligence Communication Agency. SICA CEO appointed as the new CEO of Upco Systems, the Wholesale Telecom Division of Upco. Sphere 3D sold its subsidiary Overland Storage. New CEO named for both the entities. Alpine SG has acquired e-Courier Software and named its senior exec as CEO of e-Courier. 14 of the 29 are in the West Mountain/Pacific area, with 10 open roles being in California. In EMEA, UK has 3 open roles. 12 of the 34 are in the West Mountain/Pacific area, with 3 are in the West Mountain region all 7 appointments being in California in West Pacific. 5 in the Northeast and Mid-Atlantic and 5 in Canada. Appointments: There were 7 women appointed CEOs and 39 men. 6 in North America and 1 in Taiwan. 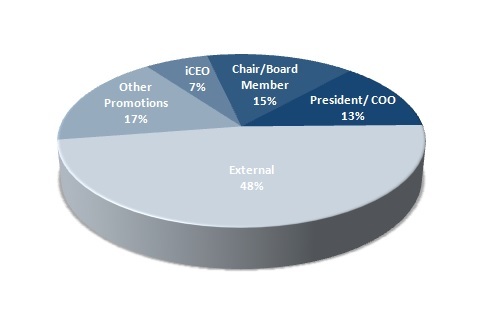 28% of women appointed were internal appointments: promotions or from the existing board. 66% of the men appointed were “internal”, i.e. promotions or from the existing board. This is the reverse of what we have seen where the majority of women are promoted vs. hired externally and vice versa for the men. 7 women appointed were – 6 in the US (2 in Northeast and Mid-Atlantic, 1 each in Canada, Midwest, West Mountain and West Pacific region), 1 in APAC (Taiwan). Northeast & Mid Atlantic: CBS Corporation, NY; athenahealth, MA; Commvault Systems, NJ; Everbridge, MA, Digital Guardian, MA, iCAD, NH. Midwest: Convergys Corp., OH; Stratasys, MN; Nortech Systems, MN. South Atlantic: HotApp Blockchain, MD. West Pacific: Intel Corp., CA; Electronics for Imaging, CA; TiVo Corporation, CA; QAD, CA; U.S. Auto Parts Network, CA; Sigma Designs, CA; Marchex, WA; Immersion Corporation, CA; BSQUARE, WA; Blizzard Entertainment, CA; Mitek Systems, CA; Airgain, CA; Kymeta Corporation, WA; Digital Locations, CA; Peregrine Semiconductor, CA. Digital Guardian, MA, Oct 2018 - Digital Guardian announced that Ken Levine has stepped down as president and CEO for personal reasons. Digital Guardian has initiated a CEO search, and Paul Ciriello, an investor and member of Digital Guardian’s Board of Directors, will act as Interim CEO to oversee the company’s day-to-day operations. Levine will remain on the Board of Directors and also act as a strategic advisor during the CEO search and transition. iCAD, NH, Nov 2018 - iCAD announced that Ken Ferry has retired from his position as CEO and stepped down as a Director of the Company. Michael Klein, Chairman of the company Board, will serve as Executive Chairman and Interim CEO. Mr. Klein has served as the CEO at Inflection Point, an executive advisory and consulting firm since December 2014. iCAD provides image analysis, workflow solutions, and radiation therapy for the early identification and treatment of cancer in the United States and internationally. Quorum Business Solutions, TX, Nov 2018 - Quorum Business Solutions announced executive leadership changes with the retirement of Perry Turbes, CEO and appointment of J. Charles Goodman as Executive Chairman. Quorum Business Solutions develops software solutions and provides services to manage operational, administrative, financial, and transactional business processes for oil and gas, renewable energy, pipeline, utility, midstream, and natural resource industries. Caesars Entertainment Corporation, NV, Nov 2018 - Caesars Entertainment's President and CEO Mark P. Frissora is leaving the company, having led a successful operational and financial transformation and established a platform for future growth. To support a seamless transition, Mr. Frissora will remain in his current role until February 8, 2019. The board will work with a nationally recognized search firm to identify Mr. Frissora's successor. Caesars Entertainment Corporation, through its subsidiaries, provides casino-entertainment and hospitality services in the United States and internationally. Emerald Expositions Events, CA, Nov 2018 - David Loechner has resigned his position as President and CEO and as a member of the Board. With the assistance of an executive search firm, the Board has commenced the search for a permanent successor to Mr. Loechner. Philip Evans, CFO, has been appointed by the Board of Directors as Interim President and CEO. Emerald Expositions Events operates business-to-business (B2B) trade shows in the United States. Blizzard Entertainment, CA, Oct 2018 - Co-founder Michael Morhaime will cease to serve as the president and CEO of Blizzard Entertainment. While Morhaime will stay on as a strategic adviser, World of Warcraft executive producer J. Allen Brack has taken over as president of Blizzard Entertainment. Kymeta Corporation, WA, Oct 2018 - Kymeta announced that CEO Dr. Nathan Kundtz will leave his current role with Kymeta next month and will continue in an advisory role to the company going forward. Marc Stolzman, Kymeta’s President and CFO, will guide the company’s day-to-day operations in the interim while the Kymeta board of directors conducts a global search for the next Kymeta CEO. Intelsat, the operator of the world’s first Globalized Network, acquired an equity stake in Kymeta in 2017 and Intelsat CEO joined Kymeta board. British Columbia: HIVE Blockchain Technologies, BC; CounterPath, BC. CounterPath Corporation, BC, Canada, Sep 2018 - CounterPath Corporation announced that Donovan Jones has resigned as President, CEO and director. David Karp, CFO, will serve in an interim role as CEO and lead company until a new CEO is appointed. Desktop and mobile SIP-based VoIP softphones and solutions for enterprises and service providers. Home of the industry favorite Bria and X-Lite clients. Spirent Communications, UK, Nov 2018 - Spirent Communications plc announced that Eric Hutchinson has informed the board of his intention to retire from the company. As a result, the board is commencing a search process for his replacement. He has agreed to continue in his role as CEO until a replacement has been appointed and for a transitional period thereafter. Spirent Communications plc provides solutions to develop devices and equipment and to operate networks worldwide. Redcentric plc, UK, Nov 2018 - Redcentric plc announced the resignation of Chris Jagusz both from the Board and as Chief Executive. Peter Brotherton, CFO, will assume Chief Executive responsibilities while a formal process to appoint a permanent Chief Executive is carried out. Redcentric plc provides IT managed services in the United Kingdom. 4Sight Holdings Limited, Mauritius, Oct 2018 - 4Sight Holdings Limited announced that there will be a change in the roles of directors with the move of Professor Antonie van Rensburg from CEO to Chief Digital Officer, with effect from 31 December 2018. This decision is largely due to the demand for Industry 4.0 solutions being far greater than anticipated and the difficulty in securing a suitable candidate to lead the digital transformation strategy. Going forward, Antonie will drive this strategy and be more customer facing. The Financial Director, Mr. Jacques Hattingh will focus on the other day-to-day operational duties and responsibilities of CEO. Antonie and Jacques will accordingly act in a joint CEO capacity until the Board completes its task of identifying a suitable successor to Antonie to drive the group's other expansion and international strategies, in order to ensure continuity. Flex, Singapore, Oct 2018 - Flex announced that Michael M. McNamara, the Company’s CEO and Director, has decided to retire as CEO, effective December 31, 2018. Michael D. Capellas, Chairman of the Board, will actively assist the Company’s management with the CEO transition. The Board has engaged Heidrick & Struggles International, to conduct a search for a new CEO and will be considering both internal and external candidates. Broadridge Financial Solutions, NY - Broadridge Financial Solutions appointed the company's current President and COO, Timothy C. Gokey, to the role of CEO. Current CEO, Richard J. Daly is stepping down as CEO and appointed as Executive Chairman of the Board. ModusLink Corporation, MA - John Whitenack, the COO of ModusLink Corporation (aka Steel Connect) was appointed to the additional role of CEO. James Henderson, the President and CEO of the Company, resigned. ModusLink Corporation provides cloud-based supply chain management and logistics solutions. Upserve, RI - Upserve appointed Sheryl Hoskins as CEO. Founder Angus Davis has taken on a new role as strategic advisor to the Upserve board of directors. Hoskins has a proven track record of driving operational rigor and building teams to scale for growth. Prior to leaving ACTIVE Network, Hoskins was the Chief Revenue and Product Officer. Upserve develops a smart management assistant for restaurants. Imperium, CT - Imperium announced that it has appointed Charlie Allieri as CEO. He succeeds Founder and CEO, Marshall Harrison, who moves to Chairman role. Charlie comes to Imperium following an impressive career dedicated to developing innovative, customer-centric, solutions and go-to-market models for B2B businesses. He is an avid entrepreneur having launched four successful data-driven SaaS/DaaS products. Most recently, as President of his consulting firm, GTM Acceleration, Charlie launched a DaaS solution and company in just six months. Imperium a technology services company, provides fraud prevention and identity validation solutions to help businesses to achieve data integrity. Syndio Solutions, NY - Syndio Solutions announced that Maria Colacurcio has been named CEO and the closing of a $5.2 million seed round with major investors Sirius Partners, Contour Venture Partners and Frontier Venture Capital. Colacurcio formerly co-founded Smartsheet, a Bellevue, Washington based company that went public last April. At Smartsheet, she served as the VP of marketing & communications. Syndio Solutions operates as a people analytics company that helps organizations to identify and address critical issues that impact their employee population and the bottom line. CDK Global, IL - CDK Global reported that Brian Krzanich, former CEO of Intel, has joined CDK Global as president and CEO and a member of the Board. Krzanich succeeds Brian MacDonald who will assist in the transition. Krzanich served as Intel's CEO from May 2013 to June 2018. Deluxe Corporation, MN - Deluxe Corporation announced that Barry C. McCarthy has been named Deluxe’s President, CEO and a member of the company’s Board of Directors. He joins Deluxe after 14 years at First Data, where most recently he served as EVP and Head of its Network & Security Solutions business. Mr. McCarthy succeeds Lee Schram, who last spring announced his intention to retire from the company. FTD Companies, IL - FTD Companies has appointed Scott D. Levin to the role of President and CEO. Mr. Levin has served as FTD's Interim President and CEO since July 2018. Vox Mobile, OH - Vox Mobile announced that Monica Bruni succeeds Kris Snyder as CEO, who announced his resignation earlier this year. Kris founded Vox Mobile in 2006, which quickly ascended as a leader in the managed mobility services marketplace. Prior to joining Vox, Monica served as the VP, Business Operations for TrueCommerce. Vox Mobile provides managed mobility services for enterprises. Priority Technology Holdings, GA - Priority appointed Thomas Priore as President and CEO. Thomas Priore will continue to serve as the Chairman of the Board of Directors of Priority. John Priore has resigned from his role as CEO but will continue to serve as a member of the Board of Directors of Priority. Priority Technology provides merchant acquiring and commercial payment solutions. Paya, VA - GTCR appointed Jeffrey Hack as CEO and member of the Board of Directors of Paya (formerly known as Sage Payment Solutions). Most recently, Mr. Hack was an EVP and Management Committee Member at First Data. Since GTCR's acquisition of Paya in August 2017, Paya has invested to significantly enhance its technology and offerings. Paya provides innovative payment solutions for businesses. Millennia Patient Services, NC - Millennia Patient Services (MPS) reported the appointment of Tom Ormondroyd as CEO. Ormondroyd joins from nThrive, where he was previously the President of Education and Analytics. As part of the announcement, Samara Keaton, current CEO of MPS, will continue to direct all substantive technology development and platform enhancement. Millennia Patient Services develops software as a service (SaaS) based platform that provides revenue cycle management solutions, billing, and accounts receivables (A/R). PeraHealth, FL - PeraHealth reported the appointment of Greg White as its CEO. White comes to PeraHealth from PerfectServe, where he served as COO since 2016. PeraHealth develops a real-time predictive patient monitoring software solution for hospitals and health systems. RF Code, TX - RF Code announced that it has appointed veteran technology executive Dale Quayle as its new CEO. Quayle comes to RF Code from his role as CEO at Digital Fuel. RF Code provides data center management solutions that offer real-time visibility and analytics regarding the location and environmental condition of clients’ IT assets. Telestax, TX - Telestax has appointed Paul Doscher as CEO and member of the Board. Paul has assumed the CEO role previously held by co-founder Ivelin Ivanov, who will remain in a key role within the company. Before joining the company, Doscher spent over 25 years in executive roles for noteworthy software companies including Oracle as VP Americas Alliances, Business Objects as General Manager Americas Subsidiary, JasperSoft as President and CEO and Lucidworks as President and CEO. Telestax designs and develops real-time communication solutions using Communications Platform as a Service (CPaaS). INTREorg Systems, TX - INTREorg Systems appointed Mr. James J. Cahill to serve as CEO, President and Director. Mr. Cahill has been an investment banking and management consulting professional in New York City for the past 25 years to both private and public companies from development stage to multi-national corporations. INTREorg Systems provides Software as a Service and consulting services primarily for publicly traded companies in the United States. MacroFab, TX - MacroFab named board member Misha Govshteyn as its new CEO. Govshteyn replaces MacroFab founder Chris Church as chief executive of the technology company. Church will remain with the company as chief product officer. Prior to joining the board, he spent over 16 years with Alert Logic as a co-founder and worked in a variety of different managerial roles within the company. He most recently served as SVP of products and marketing before leaving in June to join MacroFab. MacroFab operates a cloud based platform that enables just-in-time production of electronics for hardware startups. Amtech Systems, AR - Amtech Systems and CEO Fokko Pentinga agreed on a transition of leadership of the company, pursuant to which Mr. Pentinga will step down as CEO, President and a director and Mr. J.S. Whang, the company's Executive Chairman, has agreed to serve as CEO of the company effective December 6, 2018. Amtech Systems manufactures and sells capital equipment and related consumables for use in fabricating solar cells, LED, and semiconductor devices in the United States, Asia, Europe, and internationally. MarketStar Corporation, UT - MarketStar announced that existing President and COO Keith Titus will assume the role of President and CEO. He will also serve as a member of the company's Board of Directors. Titus replaces Dave Tread way, who has chosen to retire after 15 years as CEO. MarketStar Corporation operates as a sales, marketing, and business process outsourcing agency. e-Courier, CO - Alpine SG and its affiliates, has acquired e-Courier Software. Andrea Crane, part of ASG's PeopleFirst leadership program, has joined e-Courier as CEO. e-Courier provides enterprise software solution for the package delivery industry. U.S. Auto Parts Network, CA - U.S. Auto Parts Network (NASDAQ:PRTS) has appointed Lev Peker as director and CEO, succeeding Aaron Coleman effective January 2019. Peker previously served as chief marketing officer of Adorama. Achievers Corp., CA - Achievers Corp. announced it has appointed Shrey Bhatia as CEO. Bhatia was most recently President & CEO of Reputation.com and brings over 20 years of global management experience to Achievers. Achievers Corp. provides cloud-based employee recognition and rewards solutions. Mitek Systems, CA - Mitek Systems announced that Max Carnecchia has been named CEO and appointed to the company's Board. He was CEO of publicly-traded Accelrys, where he achieved significant growth, increasing revenue from $75 million to $185 million, while successfully transitioning the company into the leading global provider of scientific product lifecycle management software and services. Max remained as the CEO of Accelrys (renamed BIOVIA) following its acquisition by Dassault Systmes in 2014 for a significant premium. Mitek Systems develops, markets, and sells mobile image capture and identity verification software solutions for enterprise customers worldwide. Inkling Systems, CA - Inkling Systems announced Jeff Carr will take the reins as CEO. Carr was most recently COO of Zenefits and prior to that was CEO of PeopleFluent. Inkling was acquired by Marlin Equity Partners in February. Since then, the company has continued to evolve its platform to aid in the digital transformation of the deskless workforce, which includes mobile and field workers and frontline employees. Inkling Systems provides cloud publishing platforms to create and publish content. Overland Storage, CA - Sphere 3D sold its entity Overland Storage. Sphere 3D CEO Eric Kelly has been appointed CEO and chairman of the board of directors of Overland. Overland Storage provides unified data management and data protection solutions worldwide. AttackIQ, CA - AttackIQ named Brett D. Galloway as the company’s CEO. Most recently co-founding Mist Systems and serving as its Chairman. Galloway served as the SVP of the Network Services Group and Enterprise Strategy at Cisco. AttackIQ, a cybersecurity company, provides a live remote testing platform that provides the data to protect, detect, and respond to cyber security threats worldwide. Decision Research Corporation, Hawaii - Decision Research Corporation announced that Karen Yamamoto has agreed to serve as the company's CEO. Yamamoto will also continue her responsibilities as President. Yamamoto's appointment reflects a years-long planned succession in conjunction with the retirement of DRC's founder Dr. Walter Simmons. Decision Research Corporation, a software development and information technology company, provides rating and policy administration solutions for the property and casualty insurance industry worldwide. Simple Finance Technology, OR - BBVA-backed BankSimple appointed David Hijirida as the company's next CEO. Hijirida, who joins from Amazon, takes over from Dickson Chu who was working as the interim CEO of the bank, and who will remain as the Executive Chairman of Simples Board of Directors. Apptimize, CA - Apptimize appointed Reed Taussig as President and CEO. Taussig will assume day-to-day leadership of the company as Nancy Hua, founder and former CEO, will assume the new role of Chief Technology Officer and Chairman of the Board. Most recently, Taussig led the acquisition of ThreatMetrix by LexisNexis Risk Solutions for $830 million. Apptimize develops a mobile A/B testing platform for iOS and Android applications. Absolute Software, BC, Canada - Absolute Software appointed Christy Wyatt as CEO and member of the Board. Wyatt has a long history of scaling high-growth technology companies. Before joining Absolute, she served as CEO of Dtex Systems. Prior to Dtex, she was Chairman, CEO and President of Good Technologies, where she led aggressive growth before the company was acquired by BlackBerry. Sphere 3D Corp., ON, Canada - Sphere 3D Corp. appointed Peter Tassiopoulos to serve as the company’s CEO and Principal Executive Officer. The appointment decision was made in connection with the company’s completion of the sale of Overland Storage Inc. Mr. Tassiopoulos, is a current member of the Board and served as President of the Company since December 2014. Previous CEO Eric Kelly resigned as a director and Chairman and has been appointed CEO and chairman of divested entity Overland. Sphere 3D Corp. provides solutions for standalone storage and long-term data archive products. 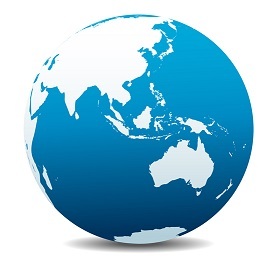 Sphere 3D Corp. provides data management, and desktop and application virtualization solutions in the Americas, Europe, the Middle East, Africa, and the Asia Pacific. Upco International, BC, Canada - Upco purchases the assets of Spectrum Intelligence Communication Agency. Under the terms of the proposed agreement, SICA shareholders will gain an equity position in Upco. Juan Ramos, the current CEO of SICA, will be appointed as the new CEO of Upco Systems Inc., the Wholesale Telecom Division of Upco International Inc. Mr. Juan Ramos has been an Executive in the Telecom voice sector for almost 20 years and has a proven track record of success in the multi-billion-dollar Global Long-Distance telecom sector. Upco International operates as telecom carrier in the telecommunications industry in Canada and internationally. Helix Applications, ON, Canada - Helix Applications (formerly Belvedere Resources) announced that following its recently completed ‘Change of Business’ transaction, Mr. Tom Thompson has been appointed CEO of the Company. Mr. Thompson is the inventor of Interbit, the megachain scale blockchain platform being developed by BTL Group Ltd., where he will remain as Chief Technology Officer while the platform is further developed and adapted in response to real world application deployments. Mr. Rufus Round has stepped down from his position as Helix CEO and will remain as a Director. Helix acquired BlockCo, a developer of blockchain technologies and applications recently. Helix Applications, a technology company, focuses on developing block chain-based software technologies. Payfare, ON, Canada - Payfare appointed Chairman Mr. Chris Seip as CEO. Mr. Seip was the former COO and Head of Investor and Treasury Services for RBC. Payfare, a financial technology company, provides mobile banking and micro-lending solutions for rideshare drivers in North America. Telecom Italia S.p.A., Italy - Telecom Italia has appointed Luigi Gubitosi as CEO and General Manager. He succeeds Amos Genish, the third TIM CEO to leave in as many years, who had to step down over disagreements with board members over strategy. Gubitosi, a former head of telecoms group Wind and now state-appointed commissioner of struggling airline Alitalia, had been one of the independent directors which activist fund Elliott appointed to the TIM board when it took away the control from top shareholder Vivendi. Bouygues Telecom SA, France - Bouygues Telecom announced that Richard Viel, 61, has replaced Olivier Roussat, 54, as CEO of the company. Viel was previously deputy CEO, a position held since 2007. Roussat becomes board president. Bouygues' board of directors also voted to separate the responsibilities of CEO from the position of president of the board, which is now occupied by Roussat alongside his existing role as deputy CEO of the wider Bouygues group. MegaFon, Russia - MegaFon announced Gevork Vermishyan, currently its Executive Director, be appointed as General Director and CEO. Vermishian replaces Mr. Sergey Soldatenkov, who announced in October 2018 that he was stepping down as CEO. Ingenico Group - GCS, France - Ingenico Group announced on board's request, Philippe Lazare has stepped down from his Chairman and CEO mandates. The board has split the Chair-CEO roles. Bernard Bourigeaud, Independent Director since 2016 and founder of ATOS, has been appointed Chairman of the Board. Nicolas Huss, previously COO, has been appointed CEO. He has also been appointed as Board Member for the remainder of Philippe Lazare's mandate. Ingenico Group - GCS, together with its subsidiaries, provides payment solutions through in-store, mobile, and online channels worldwide. The Sage Group plc, United Kingdom - The Sage Group plc announced that the Board has appointed CFO and interim COO Steve Hare to the role of CEO. Net Insight AB, Sweden - Net Insight announced that Henrik Sund has been appointed as CEO. Henrik has been interim CEO since June 1, 2018 after Fredrik Tumegård decided to leave his position as CEO. Henrik will assume the permanent CEO position as of December 1, 2018. Dentsu Aegis Network, United Kingdom - Tim Andree, member of the board and executive officer of Dentsu Inc. and executive chairman of Dentsu Aegis Network, the global business headquarters, has been appointed to serve concurrently as CEO of Dentsu Aegis Network. Jerry Buhlmann, the current CEO of Dentsu Aegis Network, will formally step down from the position on December 31, 2018 and continue to work as special advisor to Dentsu Inc.
Micro-Star International, Taiwan - Micro-Star International named EVP and President of the DPS B.U. Chiang, Sheng-Chang, as President & CEO in place of Hsu, Hsiang, the Chairman & President of MSI. Micro-Star International Co., Ltd. manufactures and sells computers, motherboards and interface cards in Asia, Europe, the Americas, and internationally. TPK Holding, Taiwan - TPK Holding has appointed Mr. Leo Hsieh as the new President and CEO after the resignation of former President and CEO Mr. HH Chiang due to personal reasons. Mr. Leo Hsieh joined TPK in 2015 and is in charge of the company’s business unit. TPK Holding Co., Ltd. provides transparent projected capacitive touch solutions in Taiwan and internationally. Powertech Technology, Taiwan - Powertech Technology named President and board member, J.Y. Hung as CEO. Powertech Technology Inc., together with its subsidiaries, researches, designs, develops, assembles, manufactures, packages, tests, and sells various integrated circuit (IC) products worldwide. Telekom Malaysia, Malaysia - Telekom Malaysia Berhad named iCEO Encik Shazril Imri Bin Mokhtar as Group CEO. Cobinhood, Taiwan - COBINHOOD announced the addition of Jill Shih to its team as CEO. Before joining COBINHOOOD, Shih built and managed cross-region teams at corporations such as Cheetah Mobile, NQ Mobile, Microsoft and Trend Micro in multiple countries in Asia including China, Taiwan and Japan. Cobinhood develops a cryptocurrency service platform that provides cryptocurrency trading and initial coin offering (ICO) underwriting, aiming to solve the existing problems of current cryptocurrency exchanges.